I’m a writer. So when I read a memoir or a historical account I’m always looking for something I can use in my writing. Sometimes it’s a story idea. Sometimes it’s how the person reacts to the situation. Sometimes it’s how two people meet. And sometimes it’s very specific details of the combat experience that can be used to recreate a realistic combat scene in a story. 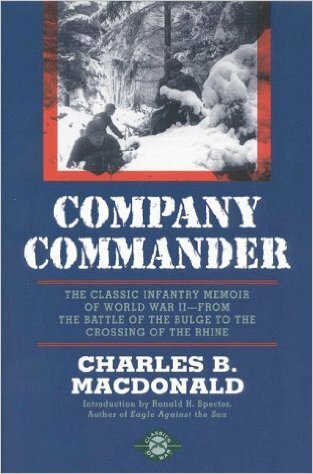 In reading Company Commander by Charles B. MacDonald I discovered incredibly rich detail about his combat experience. In addition to detailed descriptions of terrain, weather and military procedures, MacDonald relayed his feelings during each episode, not just saying “I was frightened,” but saying “My body began to shake uncontrollably. My voice trembled despite my efforts to control it.” These realistic and vivid descriptions are all through the book. Captain MacDonald joined I Company, 23rd Infantry Regiment, 2nd Infantry Division in September, 1944, as a replacement Company Commander just after they had captured Brest on the French coast. Almost immediately they were loaded in French forty-and-eight freight cars and transported across France to Longuyon. From there they convoyed by truck to Belgium where they relieved elements of the 28th Division along the Siegfried Line near St.Vith. Along the way MacDonald got to know his more experienced men, both his platoon leaders and the men who would man his Command Post, and worried about gaining their acceptance. MacDonald describes the procedure of taking over the positions including the guides assigned to walk them to their positions, the discussion with the Company Commander he was relieving, and an account of the defensive positions themselves. My writer’s eye marveled at the detailed description of the interior of the pillbox used as their command post, at the explanations of the deployment of his men, at his impressions of how the combat veterans accepted their new, twenty-two-year-old, inexperienced captain who felt so insecure in his first combat experience. Then later, during German attacks, he describes the process of communicating with the battalion to call in artillery fire to protect the riflemen in forward foxholes and the problems with broken phone lines and dying radio batteries at critical times. The book follows MacDonald’s journey from the pill boxes on the Siegfried Line on to other defensive positions along the Belgium-German border as the autumn progressed and the weather deteriorated. In early December, the 2nd Division was ordered further north for an offensive against the Roer River dams. They were relieved by the 106th Division, newly arrived from the U.S. MacDonald describes them as “equipped with the maze of equipment that only replacements fresh from the States would have dared to call their own… and horror of horrors, they were wearing neckties!” The 106th took over positions in the proximity of St. Vith, Belgium, on December 11, just five days before the German offensive known as the Battle of the Bulge would begin. The 23rd’s new positions were located in “a giant fir forest” where they de-trucked “half-frozen from a five-hour nightmare of cold, snow and hazardous blackout driving.” They were greeted by “a foot of frozen whiteness covering the ground.” They then hiked a mile along an icy highway, crossed a small, icy stream and up-hill on a one-way trail to a point in the snow-covered forest designated as their new home. MacDonald said “I felt like crying.” This was a far cry from the comforts of their last positions. Yet their kitchen truck was able to follow them and provide a hot breakfast. After word filtered in about a German attack, MacDonald tells of his meeting at battalion headquarters where he received orders to move to an assembly area in support of the 99th Division whose area had been penetrated. “We would take blanket rolls, three meals of K-rations and packs.” These scenes of meetings with commanding officers and discussions of details about deploying his men on short notice along with his anxiety about going on the offensive after only defensive action bring the reader into the moment. And they help me as a writer, and non-military person, visualize the situation. I Company would go on to frantically try to hold their assigned positions against the German onslaught and ultimately have to scatter and withdraw. In the mêlée MacDonald is wounded and berates himself for not holding while worrying about his men who he can’t account for. Again the reader is right with them. In March, after recovering from his wounds and receiving a medal, MacDonald is reassigned to Company G as the Americans push into Germany and cross the Rhine. He recounts the anxiety as they enter each German village never knowing whether they would meet gunfire, surrendering German soldiers or gawking civilians. More than once large anti-aircraft guns fired at them as a few Germans tried to desperately fight on. MacDonald had an extraordinary memory to be able to recall so many details included in the book, written in 1947, three years after the events. It was not surprising to learn that MacDonald became a military historian after the war. He wrote two of the U.S. Army’s official histories of the European campaign. I’ll mention what I thought was an interesting tidbit. MacDonald mentions many men by name along with their hometowns. At one point he mentions meeting Captain John M. Calhoun of Athens, Tennessee, who was then commander of F Company 23rd Regiment. Knowing that Athens, Tenn. was the headquarters of B Company, 117th Regiment, 30th Infantry Division when they were federalized in 1940, I went to their history which lists all the members of B Company at the time of federalization. Sure enough, John M. Calhoun was listed as a Private First Class. The B Company history states that in 1942 twenty-two of its enlisted men were sent to Officers Training School. Captain Calhoun was apparently one of those and he ended up in the 2nd Division as a Company Commander. Today most of us know women who have served in the military and many who served overseas in combat. But how many of us know about the first women in the military? And how many know what our mothers and grandmothers did during WWII? Did they serve in the military? Red Cross? Defense industry? During World War II women’s lives changed. The vital role they played, both as civilians and in the military, impacted the outcome of the war and changed how American women viewed themselves. Women filled the void left by men who either joined or were drafted into the military after Pearl Harbor. Factories converted to wartime production needed workers so, out of necessity, they hired women. Jobs formerly reserved for men opened up for women. Females worked in factories, hospitals, offices, and farms. And some of them joined the military. Of course, it took an act of Congress to allow women into the armed services, but with strong enemies across the Atlantic and Pacific the U. S. needed to utilize all its resources. Before 1942 women who supported the military worked as civilians, except for Army Nurses. With Congressional authorization the Navy established the WAVES (Women Accepted for Voluntary Emergency Services) and the Coast Guard SPARS (Semper Paratus – Always Ready) as part of the Department of the Navy. The Army chose to create two “auxiliary” units, the Womens Auxiliary Army Corps (WAAC) and the Womens Airforce Service Pilots (WASP). 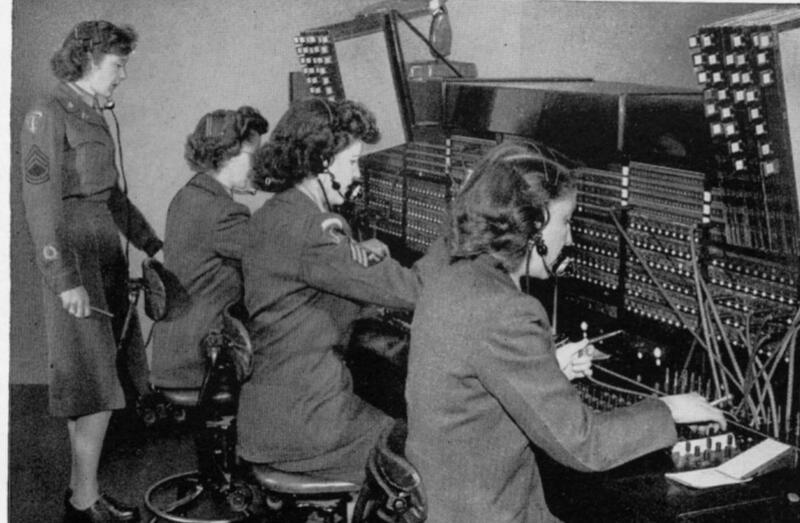 These women’s auxiliaries had separate command structures, they were paid less than men, and they had no military benefits like life insurance or veterans medical benefits. 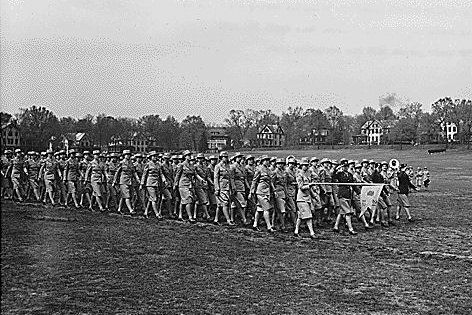 With WAAC’s being sent overseas, the Army recognized the problems and in 1943 the Women’s Army Corps was authorized as an official part of the Regular Army. But the WASP never gained the same status and it was disbanded in December, 1944. Authorization for women in the WAC, WAVES, and SPARS only lasted for the “duration plus six months.” At that time these women’s’ military organizations ceased to exist. 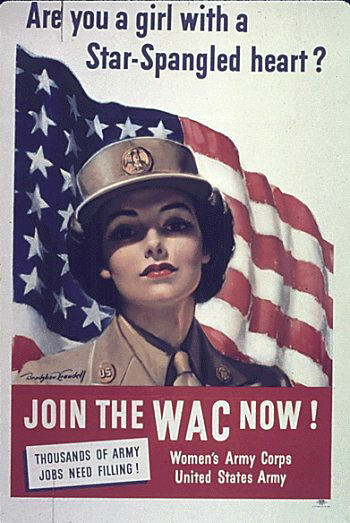 After much political discussion the WAC was reinstated in 1947. Many today may not realize that women remained segregated from the regular Army until 1978. Yes, it was post Vietnam when the separate Women’s Army Corps was abolished and women were integrated into the regular Army. In the 1940’s many across America opposed women serving in the military. Back then most believed that a woman’s place was in the home. Culturally it was difficult for both men and women to accept. Many female enlistees were accused of being immoral or gay. Some men refused to let their wives, girl friends, daughters or sisters join up. But other families supported and encouraged their young women to do their patriotic duty. First Lady Eleanor Roosevelt threw her support behind the women who volunteered to serve. 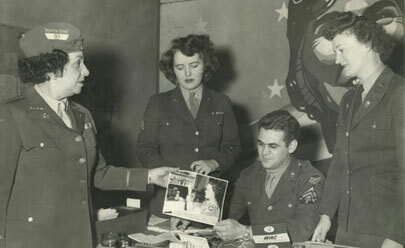 The media used advertising to promote images of women in uniform and Hollywood made movies depicting beautiful starlets serving in the various branches of the armed forces. Thousands of women answered the call. What was it like for those first female soldiers? Seeing women in uniform was a new experience for everyone. Young ladies donned newly designed, skirted uniforms, little green sear-sucker fatigue dresses for their rigorous physical training and twill jumpsuits or coveralls for heavier work. Girls left home for the first time and found themselves living in open barracks with no privacy, not even in the shower. They learned to march in step, keeping the seams of their heavy cotton stockings straight. Long hikes carrying heavy packs toughened the most feminine. Failing inspections drew the dreaded gigs and led to extra hours of KP (Kitchen Police) duty. In basic training male instructors taught them military regulations and procedures until enough women were trained and available to take over. Many specialized training courses took place on college campuses where the military commandeered both space and teachers. Others trained alongside the men. Unlike modern female soldiers, the WAC’s of WWII were considered non-combatants so they were not trained to shoot or handle weapons. 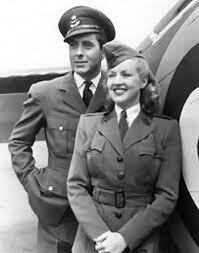 In researching my latest work-in-progress I read some memoirs that give fascinating, first- hand accounts of WAC’s wartime experiences. “Call of Duty, A Montana Girl in World War II” by Grace Porter Miller, “Mollie’s War” by Mollie Weinstein Schaffer, and “One Woman’s War, Letters Home from the Women’s Army Corp 1944-1946” by Anne Bosanko Green give three diverse accounts of Army life during the war. And to answer my other question, my mother did clerical work as a civilian at several military bases as she followed my father from one post to another. My dad and two of his three brothers served in the Army, while the third worked in a defense plant. My mother’s sisters also worked in defense plants. So no WAC’s or WAVES in my immediate family. 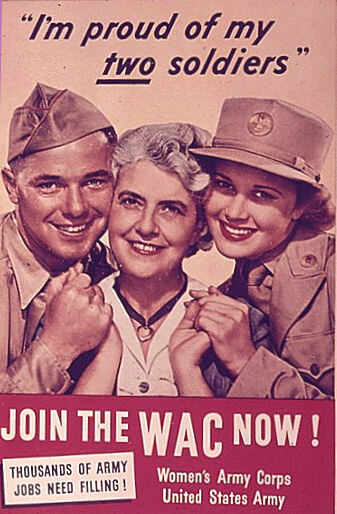 But my sister’s mother-in-law served in the WAC’s. The woman was quite a character and I wish I had had the opportunity to talk to her about her military service and her experiences during World War II before she died. The “Greatest Generation,” both men and women, are quickly dying off and they take with them the stories of their service to their country so many years ago. Today’s female soldiers, as well as all American women who work outside the home, benefit from what these brave women did during World War II. They stepped up and proved that they were capable of doing almost any job. I believe that the women’s movement had its origins in the mothers who, after the war, told their daughters they could do any thing they wanted to do. The women of the Greatest Generation believed it because of what they did in helping to win the war.